Moon Jae-in (문재인) was easily elected president in South Korea yesterday, following one of the most tumultuous periods in Korean democracy. Following the December impeachment and the March removal from (by a unanimous 8-0 verdict of the constitutional court) of conservative president Park Guen-hye (박근혜), who now faces criminal charges for accepting bribes, South Korea’s previously scheduled presidential election moved up from December to May 9. 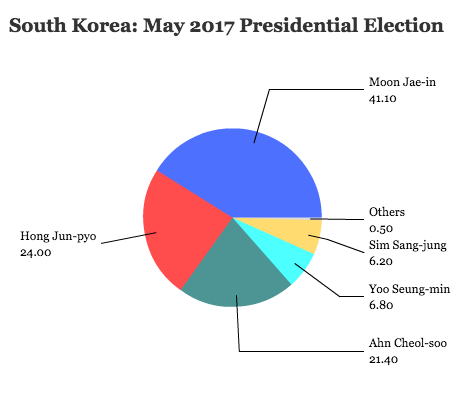 As polls predicted, Moon, the candidate of South Korea’s center-left Democratic Party (더불어민주당) easily won the presidency in a landslide against his nearest rival, Hong Jun-pyo (홍준표), governor of South Gyeongsang province, the candidate of the conservative Liberty Korea Party (자유한국당). 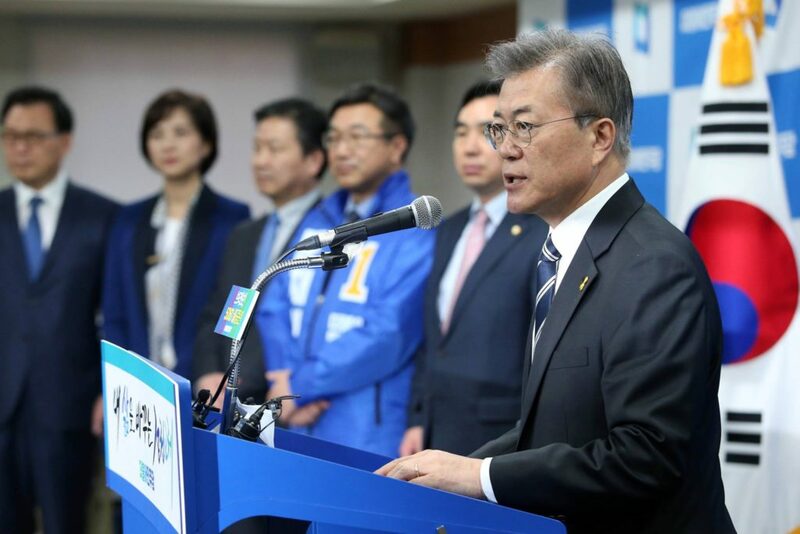 The election marks the end of nearly a decade of conservative rule in the Blue House, South Korea’s presidential office, and Moon has promised to bring a sweep of transparency and reform to domestic policy and a more conciliatory approach to North Korea in foreign policy. Moon, a longtime human rights activist and attorney, served from 2003 to 2008 as the chief of staff, one of the leading presidential aides, to former president Roh Moo-hyun. Moon was making his second presidential run after losing the 2012 race to Park.